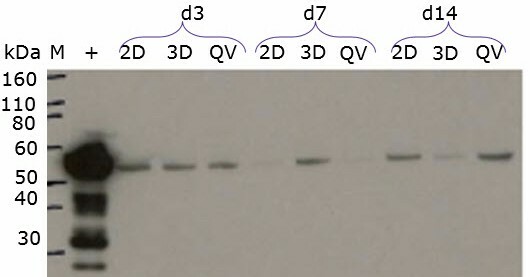 Many of our customers often think that there wont be enough protein content in cells cultured in a Quasi Vivo® chamber to perform many of the analytical techniques, including Western blots. We spoke to Quasi Vivo® user Esther Johann who works for Merck, about how she found doing Western blots. Esther is a final year PhD student who is comparing different flow models to create an improved liver model. After initial research she chose to develop the model with Quasi Vivo®. Esther uses QV900 chambers, HepaRG cells and two flow rates, 250 µl min-1 and 500 µl min-1.